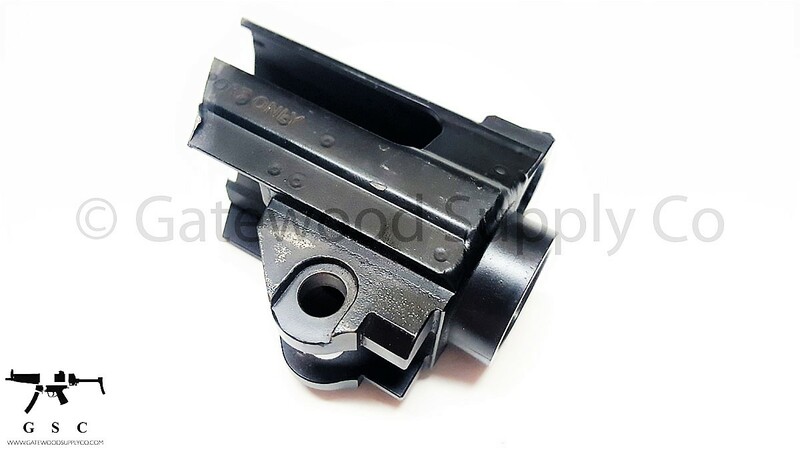 This listing is for a factory SIG 552 trunnion. This trunnion came from a demil trade in and the top of it has the Swiss crest. 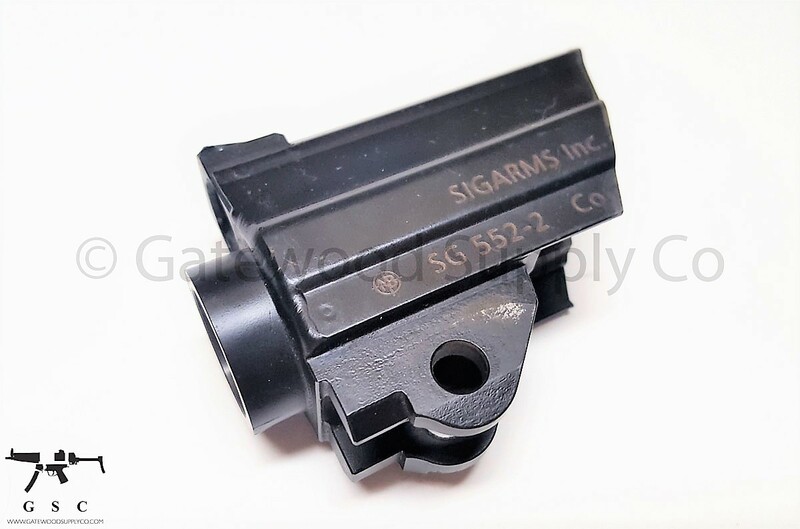 Note that the SIG 552 trunnion thread pitch is not compatible with the SIG 556 or 551-A1 platforms.